Lyrics and music by: O. V. Akintimehin, D. Merriweather, A. W. Blakemore, recorded by Daniel Merriweather. I hope all is well with you and that you have a very Merry Christmas and a prosperous and Happy New Year. Prediction: I believe that 2017 will see Apple continue to see increased adaption in the legal field in two areas. Attorneys will continue to find new ways to use the iPad into their practices to increase their efficiency and effectiveness in advocating for their clients. As more applications move to the web and become platform agnostic, more attorneys will use Macs in their practices. I believe that the MacBook Pro’s new TouchBar will be well received and make an already terrific computer even easier to use. 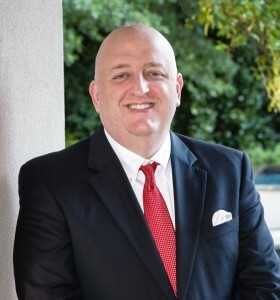 Ben Stevens is a highly respected family law attorney, who is based in Spartanburg, South Carolina. He is a Fellow in both the American Academy of Matrimonial Lawyers and the International Academy of Family Lawyers, and he is a Board Certified Family Advocate by the National Board of Trial Advocacy. Ben has published The Mac Lawyer legal technology blog since 2006, and he co-founded the Macs in Law Offices (MILO) forum in 2007, which has almost 5,000 members today. He has been a featured speaker at numerous conferences all across the United States as well as several other countries, and he can be reached at Ben@SCFamilyLaw.com. Teri and I send our best regards and Holiday Greetings. Legal research with a focused manually-generated starting point will become more efficient as AI techniques as applied to legal research become more sophisticated. AI will be increasingly used to take a specified fact pattern and then generate on a jurisdiction by jurisdiction basis the applicable legal framework of applicable law, with generated citations and likely causes of action, probably also generating starting point transactional forms and pleadings. That will raise the standard of law practice, but only if lawyers are adept and precise in first ascertaining the provable, actual facts. AI, when fused with “Big Data” at the trial court level on a national and jurisdictional basis, will become more adept at predicting the outcome of a case, especially bench-tried cases, than even experienced practitioners. IBM is already starting to do this with its Watson software. All of the above will put even more financial and competitive pressure on the legal profession as a whole. Experienced lawyers who have the resources and background to embrace the above will be at a competitive advantage compared to younger lawyers who cannot afford or who cannot use new AI-based approaches as clients seek the reassurance of perceived personal experience and ability to connect with clients. The above will also generally tend to widen the gap between rich clients who can afford the expensive analytical approach to a trial and poor clients who cannot. However, AI-based analysis of fact patterns generating transactional forms and pleadings may be particularly helpful to smaller firms and less well-off clients who cannot afford to throw massive amounts of manpower at a particular matter. The ease with which now-predominant digital data such as digital photos and video, documents, texting etc can be now be easily altered will increase skepticism about such evidence, resulting in a need to have better authentication of digital evidence, particuarly photos and video. 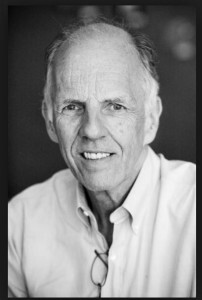 Joe Kashi received his BS and MS degrees from MIT in 1973 and his JD from Georgetown Law School in 1976. He is a litigator in Soldotna, Alaska, and has extensively written and presented about legal technology throughout the US and Canada since 1990. Prediction: Facebook will become as important, it not more important, than other forms of online business development. Relationships and word of mouth are the key for business development in the law. Lawyers will find their personal Facebook accounts the leading way online to grow relationships and reputations. Bio: Kevin O’Keefe, a former practicing lawyer of seventeen years, is CEO and Founder of LexBlog, Inc., which helps lawyers build a name for themselves with the most comprehensive blog publishing solution in the legal industry. Thought the legal industry has reached a technological saturation point? Think again. 2017 will be the year where artificial intelligence (AI) makes its presence quietly ubiquitous. Lawyers already using any form of internet search are utilizing AI and feeding data to it. This will bring new and ever increasing security risks to lawyers who endeavour to keep information confidential. 2017 will require leadership from our industry to adapt, modernize and contextualize actual versus theoretical threats in this new computing age or we will be left behind as an industry. Gone are the days where only somewhat interesting parties were tracked and data-mined. In 2017 the online activities of all interesting and uninteresting persons (including lawyers, haha) will be tracked simply by virtue of being a “wired-in” member of our society. Similarly, lawyers can expect more conversations to be clandestinely recorded by clients and non-clients alike. We expect (perhaps hope is the more accurate sentiment) savvy lawyers to respond by providing excellent service to all clients at all times. Consumers require increased efficiencies in the delivery of legal services. Smart firms will capitalize and fill voids created by out-of-touch and out-of-date law firms. You’ve been warned (but do those firms read blogs anyway?). Similarly, law firms require dependable and secure avenues to communicate better with clients. In 2005 Mr. Spraggs took over Spraggs & Co. from his father and has since led the firm through significant growth. He holds a Bachelor of Laws, Master of Laws, and a Masters of Business Administration which has helped round out his expertise in running a successful personal injury firm among many other endeavors. Recently, his firm was acknowledged by the Canadian Bar Association with the 2016 Innovative Workplace Award. 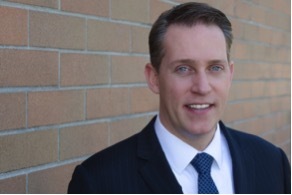 Within his practice, Mr. Spraggs works with a large team of experienced lawyers, investigators and claims managers to help British Columbians get access to justice. He is a litigator, arbitrator and technologist who has a passion for growth and the future. Mr. Spraggs is in the process of launching Solvere Inc., a digital platform aimed at increasing access to justice. I’d like to see law schools continue to build meaningful access to justice programs within their communities by partnering with local agencies to build more interdisciplinary connections. Law students have a lot to offer outside of the traditional “legal clinic” setting – and could contribute to local grassroots movements. Access to justice movement over the next year will likely be shaped by both global and local events. Just recently, we’ve seen a pledge to increase the fund for Innocence Canada, in an effort to recognize those who have been wrongfully convicted. This may be a result of attempting to mitigate the effects of events across Canada and the US that have highlighted racial profiling and overrepresentation of minorities within the system. Commitments to continue immigration efforts will also affect the landscape of access to justice locally. There is certainly no shortage of ways in which students can become meaningfully involved in their community. By doing so, students may feel more connected to actual legal practice, and identify a purpose, or at least an interest or passion, to incorporate into their future career. Amelia Rodin is a law student with Russell Alexander Collaborative Family Lawyers, and begins Articling in 2017. Currently completing her final year of the Juris Doctor/Master of Social Work program at the University of Windsor, Amelia focuses her studies on the area of family law, including custody and access, child support, property issues and divorce. I am in Canada, so my predictions are for this country. We just successfully completed a 60-day electronic trial in Victoria, BC using a very simple e-trial platform I put together, so my predictions flow from what worked well there. On the last day of our trial, the judge commented on the “flowing transcripts” coming from the Real Time reporter, saying “whoever decided to do that was a genius because they have been and will be irreplaceable.” The court and counsel from both big and small firms benefited from the Real Time reporting: it made it easier to participate in the trial, especially for small firms, since there was no need to take frantic notes during trial and it helped all parties with their direct and cross examinations. I predict 50% of all trials over 3 days long will have Real Time reporting and – since right now I hear anecdotally that Real Time is “quite common” in larger courthouses, such as Vancouver – I predict that there will be a way to confirm if my first prediction has come true. 2. Simple technology in the courtroom will squeeze out the use of paper. When I say “simple”, I mean a laptop at the front of the courtroom linked to “slave” monitors on the tables for all counsel, the judge and the witness. Counsel would bring their documents to court on a thumbdrive (or similar) and use this simple technology to review electronic evidence (PDFs) in the courtroom. In our trial, the parties purchased and set up this simple technology in the courtroom. It meant we didn’t have to deal with the inconvenience of many binders of common book documents. It saved space and time. In Vancouver, two courtrooms are already set up with monitors on every table: there is a form parties can fill out regarding in-court technology. I predict 50% of trials over 3 days long in Vancouver will use a laptop and monitors on all tables to review evidence electronically in court. In our trial, we had a SMART board to mark up documents and agreements between the parties so that the court could review and receive evidence entirely in an electronic format. Our trial proved it can be done with only “over the counter” technology in the courtroom (for a 3-minute video of the e-trial platform in action, see: http://dgwlaw.ca/tag/kate-gower/). Across Canada, other trials are being conducted by bringing databases of electronic evidence into court (For example: 1159465 Alberta Ltd. v. Adwood Manufacturing Ltd., 2010 ABQB 133). BC’s securities commission has been running trials this way for 10 years. There are also companies developing proprietary e-trial platforms (for example, Opus 2 in England and Court Innovations’ Matterhorn in the USA). Both Colin Rule and Darin Thompson highlighted examples of how the tide is turning, bringing technology into the courtroom. Our judge repeatedly informed the parties during case management conferences that he would not welcome a “wall of binders” in the courtroom, which helped us lead the other parties to an e-trial. In 2014, an Ontario judge ordered the parties to conduct a trial electronically (Bank of Montreal v Faibish, 2014 ONSC 2178). All parties in our trial agreed that our simple, full e-trial platform was a success and across Canada electronic trials are going forward. However, even though I predict a lot of simple technology will be used in BC’s courts, I only predict that there will be three fully-integrated electronic trials in Vancouver and Victoria in 2017. I predict I will be in the courtroom, avidly watching how they roll out. 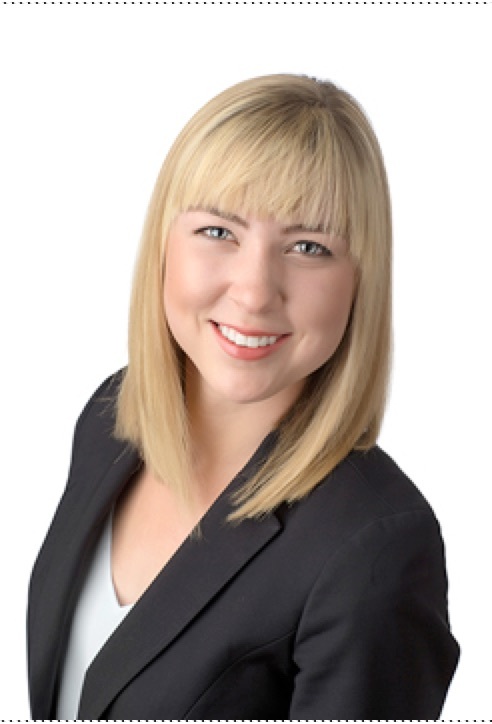 Kate works as a contract lawyer in all areas of Aboriginal Law, specializing in Aboriginal consultation and litigation. She has become a regular speaker on electronic trials since she helped DGW Law Corporation run a 60 day Aboriginal Treaty Interpretation Case as an electronic trial in the Supreme Court of British Columbia (West Moberly First Nation et al. v. B.C.). The case was the first electronic trial in Victoria. Trial ended in November 2016. She has appeared before British Columbia, Federal and Northwest Territories courts. 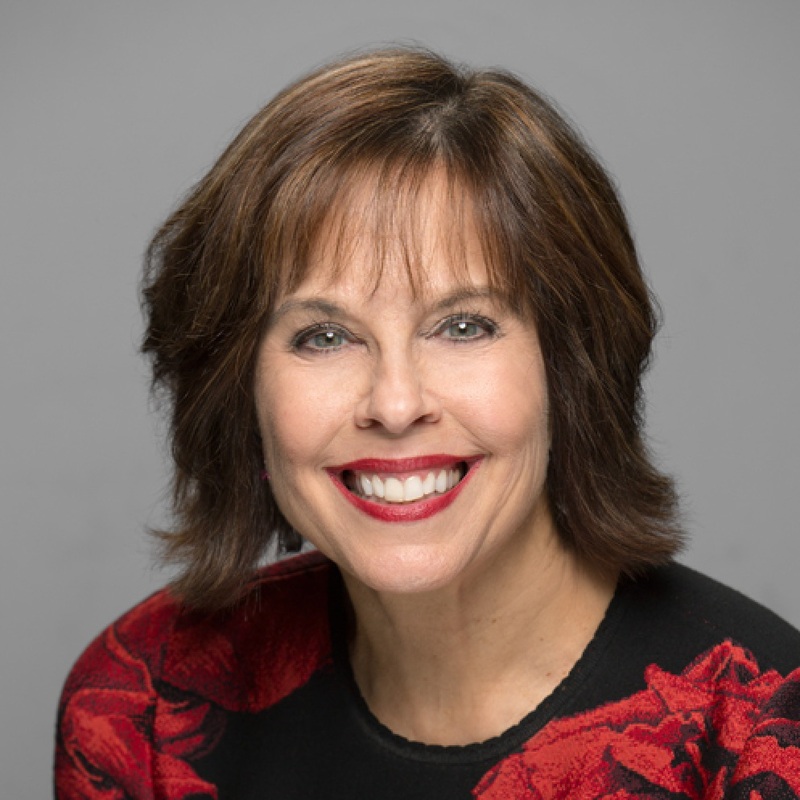 She also has experience as a neutral investigator in the resolution of workplace complaints under internal discrimination and harassment policies in the public and private sector. 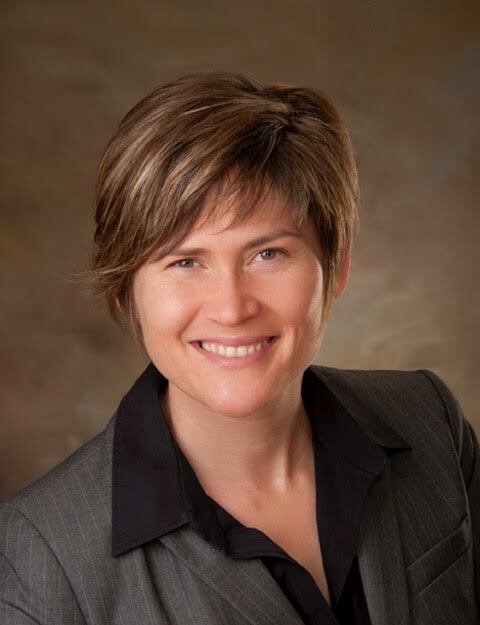 Kate did her law degree at the University of Victoria, articled at Fasken Martineau, and now has her own business contracting her legal skills to other law firms. Before law, Kate was a journalist for the CBC and CTV in Canada, and the BBC in the UK. 1. 2017 will be a year of political chaos in the US. I envision the country basically fragmenting into three groups. Those supporting Trump, those sane people in the middle trying to keep the Republic together and those on the left, fighting the political equivalent of guerilla war just the like the right wing Republicans have done over the last 8 years of the Obama administration. It will be interesting to see if Trump makes it to a second year without threat of impeachment for his venal willingness to comingle the public good with his private business interests. 3. Products like Atlas Recall (www.atlas.co ) will completely change how we use our computers to search for information. We will begin to see the first round of AI programs that will have massive impact on what we now call “work”. I think Atlas Recall (www.atlas.co ) will rise to Unicorn status. It’s a bit like seeing and using it are like the first iterations of Google. Trying to change the world, and helping to connect great people. ActiveWords Co-Founder, Tech Evangelist, connector, small town Minnesota boy, Duke grad, and serious Duke basketball fan. Now working on getting Atlas Recall (www.atlas.co ) in front of his friends. http://bit.ly/2fkLsIb has a bunch of links. The UK Parliament will produce at the start of the year the Bill for the Online Court, which will be the largest of its kind and before the year ends the first tests will be scheduled. In the meantime the Canadian BC Civil Resolution Tribunal will be in full swing and it will represent the best model to follow and from which to learn valuable lessons. The publication of the data from the EU ODR platform will bring some disappointment because we will realize that few consumers have used it and that most merchants have refused to opt in. On the plus side, all the EU Member States will be joined by then, and the realisation of its limited success will lead to an investment effort to increase awareness and the use of public muscle to incentivise the merchant’s participation. Look forward to read all the predictions for 2017. 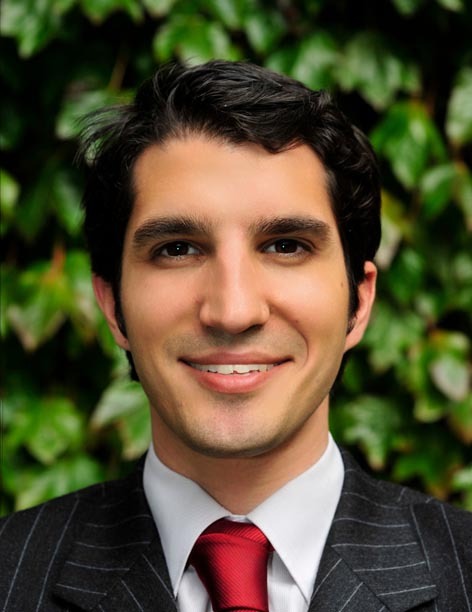 Pablo conducts research in the field of consumer law, civil procedure, ADR and ODR. He has advised the European Commission during the drafting of the ODR Regulation and ADR Directive and has been invited to write reports and to participate in expert meetings by the UN Commission on International Trade Law (UNCITRAL Working Group-III ODR), the European Commission Directorate-General for Health & Consumers (DG SANCO) and Justice (DG JUST) as well as by the European Parliament Internal Market and Consumer Protection Committee (IMCO) and the Legal Affairs Committee (JURI). Pablo serves on the advisory board of NetNeutrals and Youstice. He is a fellow of the National Centre for Technology and Dispute Resolutions (University of Massachusetts, Amherst) and in 2012 he was a Gould Research Fellow at Stanford University. 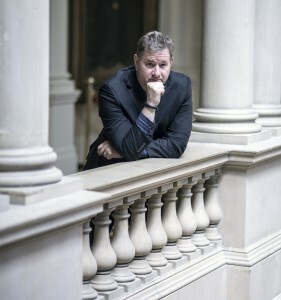 He is also a member of the Online Dispute Resolution Taskforce of the International Mediation Institute and a member of the ODR Advisory Group of the Civil Justice Council in England and Wales. Pablo has published extensively and is now completing his third book on consumer redress. Alberta will permit ABS for non-profit law firms. 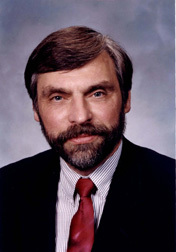 Mitchell E. Kowalski M.A. LL.M. ICD.D. I am a bit preoccupied by the coming chaos in the U.S. to be caused by the new administration so that lenses affects my thinking, probably more than it should. The Trump Administration will have an impact on the legal market in many different ways. —The access to justice movement in the US will receive a setback. A President who had no respect for the first amendment is not likely to have much respect for the sixth amendment either. Authoritarian regimes resist empowering people to have more access to the legal system. The appropriation for the U.S. Legal Services Corporation will be cut or endangered, putting more pressure on the private bar to provide services who those who cannot afford a lawyer. —If the U.S. Federal Trade Commission assumes a more free market bias, that may put pressure on state bar authorities to license or enable nonlawyers to provide legal services directly to the public. This limited deregulation will result in further eroding the market share of solos and small law firms. –Litigation against the Federal Government will increase making more work for boutique law firms who represent interests that are opposed to the new administration policies. Expect much more litigation at the state and local level as well. –Law firms based in Washington, D.C. that represent special interests will also do very well. –Non-lawyer ownership of law firms will continue to be a “non-starter” in the U.S. Profit-making law schools will go out of existence in the U.S., unless the Trump administration reverses the regulatory framework now it places that makes educational institutions more accountable. The recent withdrawal of eligibility for federal student loans for Charlotte School of Law, is the death knell for these institutions. Funding for legal startups will dry up as funding sources (VC, Angel investors) become more aware of the difficult regulatory environment and the approach of states, like North Carolina, that seek to over-regulate legal software that serves the public directly. ABA membership will continue to decline as it struggles to remain irrelevant in a rapidly changing environment. Declining membership is a good overall metric for the reputational decline of the legal profession in the US. 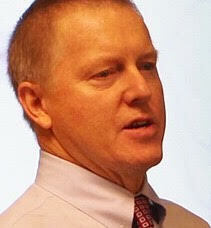 Richard S. Granat is the founder and CEO of DirectLaw, Inc., a virtual law firm platform provider. DirectLaw, Inc. | SmartLegalForms, Inc.
enables solos and small law firms to deliver legal services online. This year I would like to address what I believe are structural fault lines in the legal profession and how these could impact us. Access to Justice. Many of the predictions have dealt with this issue, but this is my take on it. The public’s appetite for real access to justice has never been stronger. Put it another way: legal fees are deemed too high and court delays are deemed much too long for Joe Average. While judges, courts and lawyers are taking steps to address these issues, I think the real change is going to be happening outside the traditional legal arena. There are two projects in particular that I am keeping my eye on. The first is BC’s Civil Resolution Tribunal. This is the first legislated alternative to going to court and is built around new alternative ways to find a way to resolve disputes. It is now operational in strata (condominium) disputes and will shortly proceed to small claims cases. Once the Tribunal has demonstrated success (without judges and yes, without lawyers) then other cash-strapped governments will follow suit and create tribunals in particular niches that will remove more and more cases from the courts. The UK will shortly follow suit with Her Majesties Online Court. This demonstrates a fine example of Albert Einstein’s quote: “We can not solve our problems with the same level of thinking that created them.” In other words, continuing to flog the pro bono dead horse will produce about the same level of results for access to justice that it presently produces with about the same impact on society. As a result, the patience of the public is running thin. The public is wanting access to legal services at rates they can afford and that delivers results in a reasonable time. The second is the Rechtwijzwer website in the Netherlands. This is another example of how technology and a fresh way of thinking can produce meaningful results for the public in terms of resolution of legal problems. In this case, it is the issue of divorcing and separating couples. I understand that this project currently has helped over 700 dutch couples divorce for a total spend of €400 per couple. Compare the costs in 2013 in Canada: “Average fees for uncontested divorces have dipped to $1,018 from $1,500 and for separation agreements, $1,985 from $2,106. (editor: note that this is per person, not per couple” (per Canadian Lawyer Magazine). In BC I believe the Government will be looking to expand the powers of BC Notaries under the Notaries Act, under the rubric of expanding the range of providers that can provide basic legal services to the public. Notwithstanding this change, I don’t expect the cost of these legal services to drop, whether provided by notaries or lawyers. I also expect to see more and more organizations housing both lawyers and notaries under the same roof, as they recognize that this can complement each other’s range of services. There will be a rapid expansion in lawyers providing legal assistance to the legal marijuana industry in Canada (and also in the USA). Canadian lawyers (and their American counterparts) will continue to search for the desktop equivalent of the Holy Grail…that offers full featured practice management (calendaring, email integration, conflict checking, file management, document management, document generation), fully integrated general and trust accounting, time and billing, cloud storage, backup, portal and collaboration services and more from one vendor, rather than trying to link up disparate services. Artificial Intelligence (AI) will continue to invade the legal sphere. The effect on practising lawyers remains to be seen, but I think it is a ‘disruptive force’ once its power becomes better utilized and focused. Security, malware and ransomwear will continue to be a weak point for lawyers and law firms. Conversely, full-disk encryption and zero-knowledge backup services will assume greater importance for the firms that recognize their advantages. Lawyers will continue to grapple with how to drag their partners into the late 20th century from the technology standpoint and adopt firm-wide technologies that benefit the entire organization but which require the dinosaurs to change with the times. Lastly I think law is about to undergo some fundamental change. Young bright minds are realizing that better opportunities lie in emerging (technology and related) careers rather than in the traditional role of a lawyer. Law related organizations such as the American Bar Association are facing a decline in membership [“According to the Annual Report of ABA Executive Director Jack L. Rives as delivered to the House of Delegates at this year’s Annual Meeting in Chicago, dues paying ABA Membership is declining steeply. When I joined the Board of Governors in 2005, some 282,954 lawyers were dues-paying, card carrying ABA members. This year, the projected count is down to 232,538 lawyers” . I believe the Canadian Bar Association’s numbers are remaining static or similarly declining (Wikipedia states: The Canadian Bar Association represents over 37,000 lawyers, judges, notaries, law teachers, and law students from across Canada. According to the Wayback Machine, the CBA’s membership was 36,000 in 2000). While there will be a need for lawyers in the future, the rewards that law offers relative to the long hours and personal toil on lives will cause many to reflect and reconsider. I believe as a profession we can change the profession for the better. We need leadership, vision and thoughtful action, perhaps now more than ever before. We can change if we learn, as judges, lawyers, court administrators and the public, to work together to help solve the bigger legal issues facing our communities and our culture. We can achieve much more working together than we can working apart. We owe it to our colleagues, our friends, our families and our communities. David J. Bilinsky is a Practice Management Advisor and lawyer for the Law Society of British Columbia. He is a Fellow of the National Center for Technology and Dispute Resolution (NCTDR) at the University of Massachusetts. 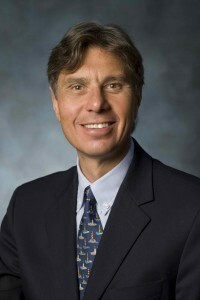 He is also a Fellow of the College of Law Practice Management and past Editor-in-Chief of ABA’s Law Practice Magazine. David is an adjunct professor at Simon Fraser University teaching a totally online, graduate level course in the Masters of Arts in Applied Legal Studies program. This MA program received the 2011 Award of Excellence from the Canadian Association for University Continuing Education. He designed and taught the first legal technology course in Canada for the University of Toronto Law School. Dave’s mission in life is to empower lawyers to anticipate the changes, realize the opportunities, face the challenges and embrace the expanding possibilities of the application of practice management concepts to the practice of law in innovative ways that provide service excellence. Dave is the founder and Chair of the Pacific Legal Technology Conference and a past Co-Chair of the American Bar Association’s TECHSHOW. Dave writes regularly for many publications in the USA and Canada including being a contributor to the award-winning blog www.slaw.ca, its sister blog, tips.slaw.ca as well as his own blog: www.thoughtfullaw.com. 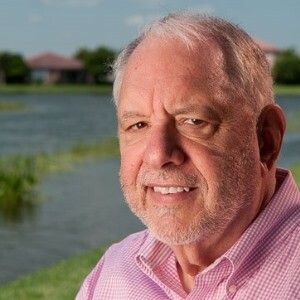 Dave has keynoted and delivered dynamic and thoughtful presentations to legal and judicial conferences, practice groups, legal organizations and law schools across the globe and is considered a visionary in terms of how technology and other forces are changing the practice of law and how legal organizations can take advantage of these changes. His articles have been translated into several languages and republished across the globe. He has a Bachelor of Science and a Bachelor of Law from the University of Manitoba and a Masters of Business Administration from the University of British Columbia. Dave is a long-distance runner who has completed 11 marathons including: Boston, Chicago, New York, Portland, Vancouver, Victoria; many half-marathons and other events. He is an avid downhill and cross-country skier and was a volunteer ski-patroller for many years. You can contact him at daveb@thoughtfullaw.com. This entry was posted on Tuesday, December 27th, 2016 at 5:00 am	and is filed under 30 Questions for Busy Lawyers, Adding Value, Budgeting, Business Development, Change Management, Cheap is Good but Free is Better!, Dave's Top 10 Lists, Firm Governance, Fraud and theft, humour, I'm a Mac, Issues facing Law Firms, Law Firm Strategy, Leadership and Strategic Planning, Make it Work!, personal focus and renewal, Technology, Tips, Trends. You can follow any responses to this entry through the RSS 2.0 feed. You can leave a response, or trackback from your own site.